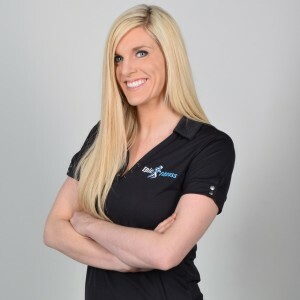 Jessica is the Head Trainer for the Resident Fitness program in Tempe, Scottsdale, Phoenix, and Chandler at all of the Epic Fitness locations. Jessica is also the head Strength and Conditioning coach for Girl’s Volleyball at Seton Catholic Preparatory High School, Benedictine University, and East Valley Juniors club program. Jessica has 8 years of experience in the health and fitness industry, and holds both a Masters of Education and BAS degree in Health Promotion from Arizona State University. She’s also obtained a certification as both a Certified Fitness Trainer and Sports Conditioning Specialist with the American College of Exercise Science. Jessica has always been drawn to any kind of physical activity and sports and did competitive cheerleading throughout high school. Fitness is more than just a lifestyle for Jessica, it’s her passion.